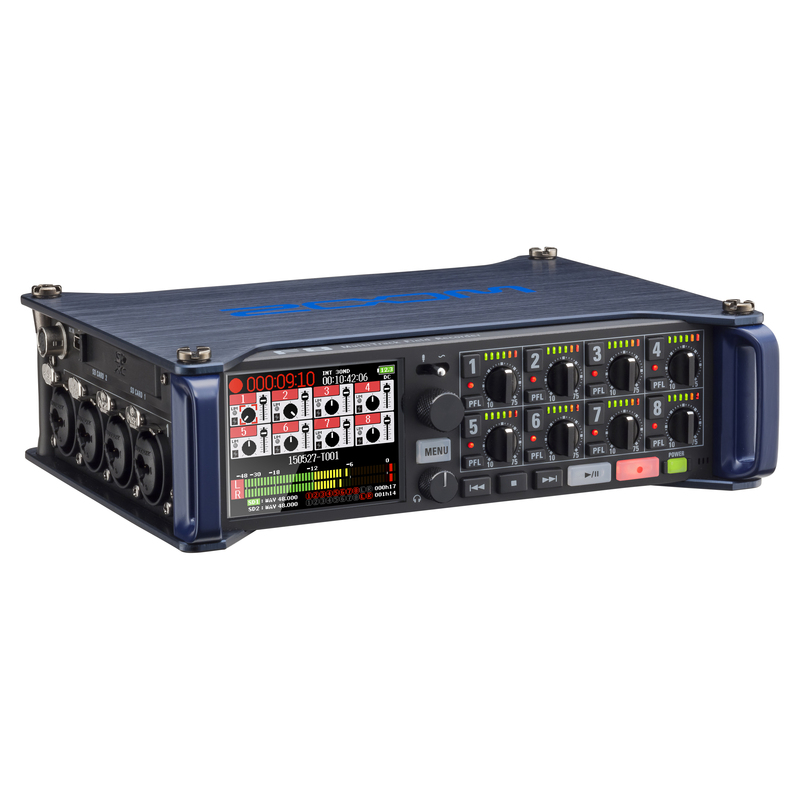 F8, Pocket Recorder/Multitrack from Zoom. Zoom brought to Musikmesse the prototype of its upcoming F8 8-channel battery-powered field recorder. 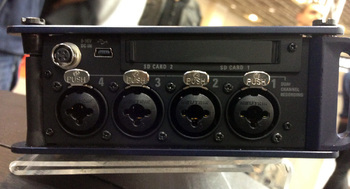 According to the first information, the Zoom F8 Field Recorder features two SD card slots, 8 mic preamps with 4 XLR/Jack combos on each side of the box, PFL and gain controls on each channel, headphone output with dedicated level control, L/F and Sub-Out 1/2 outputs and an input on the rear to connect one of the removable capsules for the latest Zoom microphones, to be used with an extension cable. A mini-USB port is also available. The Zoom F8 offers time code function with rear input and output, and LCD color screen on which the control panel is displayed with VU-meter for the right and left channels. The F8 can be powered by HR6, LR6 or 8 AA batteries. 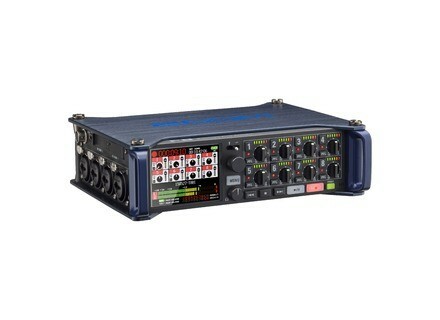 This new Zoom F8 Field Recorder is expected late-2015, full details will be only soon at www.zoom.co.jp. [Musikmesse] Antelope Audio MP8D mic preamp Antelope Audio unveils at Musikmesse 2015 the new MP8d mic preamp and A/D converter, a model that will be sold under 2,000 €. [Musikmesse] Focal Trio6 Be powered monitors Focal introduces at Musikmesse 2015 a new three-way powered monitor that can be switched to a traditional two-way configuration, the Trio6 Be. 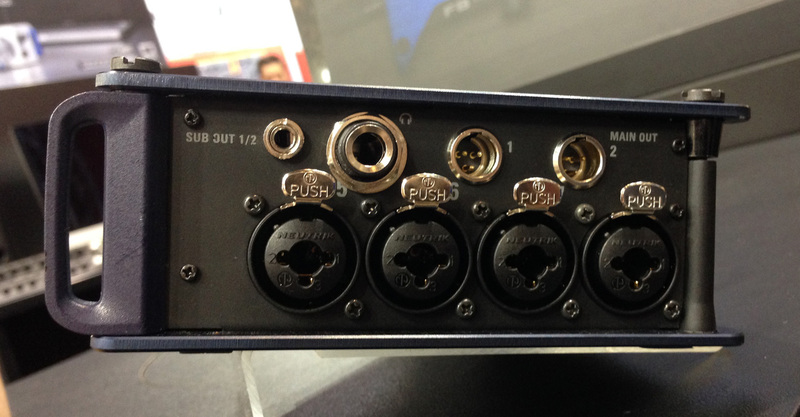 [Musikmesse][VIDEO] Audient iD14 and ASP800 Along with its iD14 audio interface and monitoring controller, Audient introduces at Musikmesse a new version of its ASP mic preamp.